Soon our visitors will not only get to enjoy great wine, but also farmstead goat cheeses! All through 2017 and 2018, we've been busy planning and constructing a new dairy, cheese making, and tasting room facililty. In October, we opened it up for wine tasting, and (fingers crossed) we will begin making and serving cheese in Spring 2019! We'll be making both fresh (chevre) and aged cheeses and in the summers - frozen yogurts. 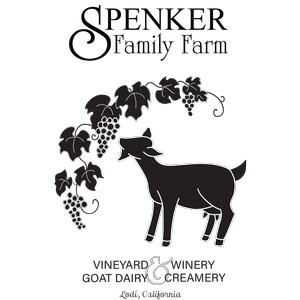 We use our own grapes to make our wines, and likewise we will primarily be using milk from our own goats to make our tasty cheese and yogurts. We also plan to do a couple of cow milk and/or mixed milk cheeses. For these, we will be using milk from our neighbor's award winning dairy. Nothing pairs more classically than wine and cheese. We're excited to offer guests the chance to enjoy both, made right here on the farm. Fresh, local, artisan, and delicious!